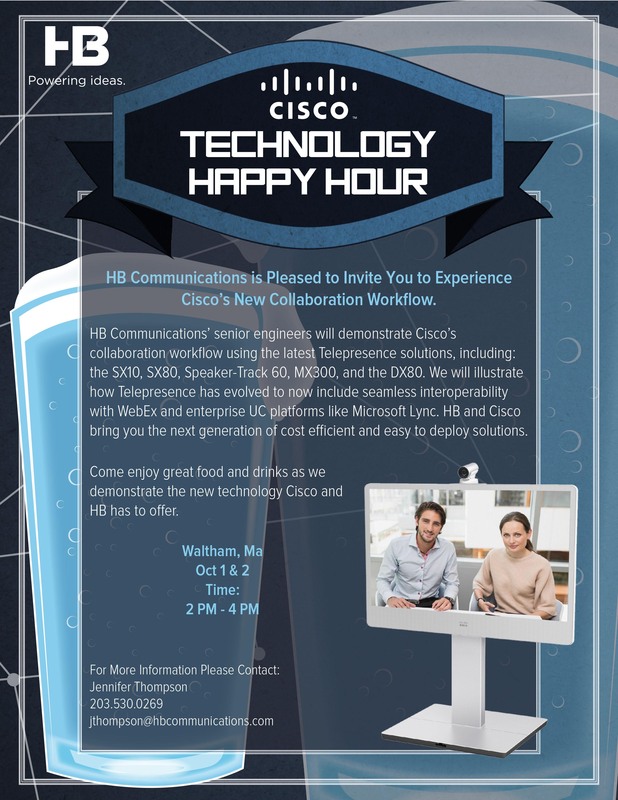 HB Communications’ senior engineers will demonstrate Cisco’s collaboration workflow using the latest Telepresence solutions, including: the SX10, SX80, Speaker-Track 60, MX300, and the DX80. We will illustrate how Telepresence has evolved to now include seamless interoperability with WebEx and enterprise UC platforms like Microsoft Lync. HB and Cisco bring you the next generation of cost efficient and easy to deploy solutions. Come enjoy great food and drinks as we demonstrate the new technology Cisco and HB has to offer.